The Lebanese sure have a way with salads…brighten your menus with these favorite Lebanese Summer Salads using all kinds of fresh herbs and vegetables (and fruit!). And, make them even better with excellent Pomegranate Molasses, Mint Salts and other Lebanese spices, and Extra-Virgin Olive Oil from Maureen Abood Market! 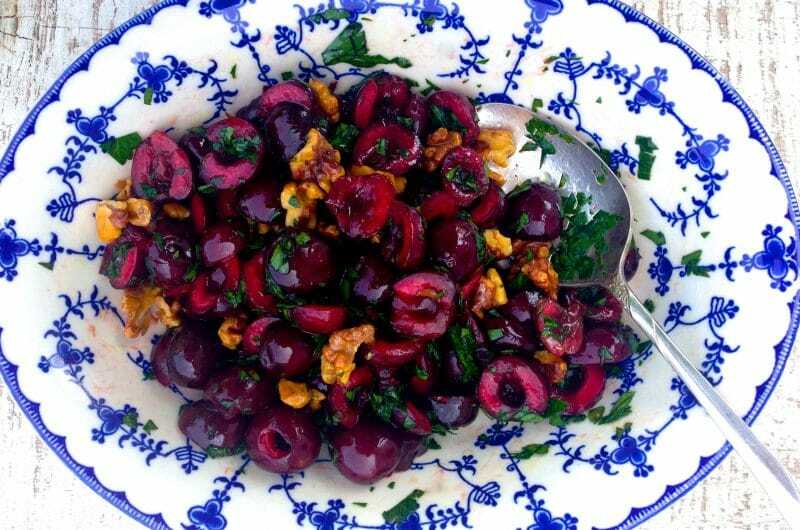 Black cherry salad with walnuts, parsley, and pomegranate vinaigrette. So unexpected. You will fall in love! The sweetness of this salad makes a perfect balance with grilled meats, lamb in particular. It’s tabbouleh time! The quintessential Lebanese salad is made with chopped herbs, parsley and mint, studded with onion, tomato, cucumber, and a bit of bulgur or quinoa. 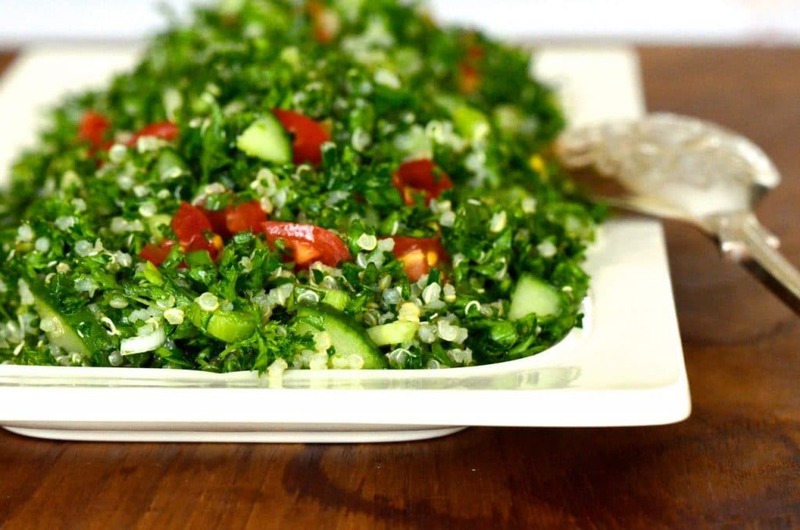 Find the quinao tabbouleh recipe here. 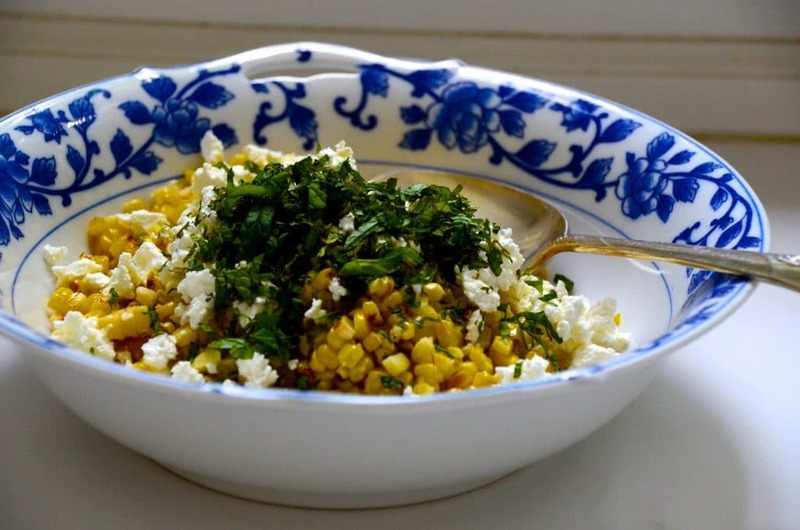 Grilled Corn Salad with Mint and Feta. We are a fresh summer corn people! This is one of the great things we do with it when we’re not just slathering a barely steamed ear with butter. Add some black beans to ramp up the protein factor. Lebanese Potato Salad with Lemon and Mint. Nothing creamy about it and bursting with flavor. 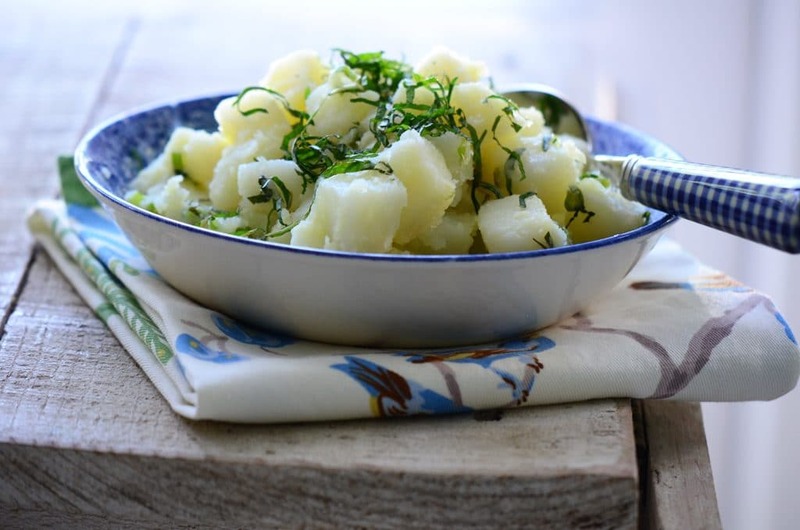 We love this potato salad, and so do you! See how to cook the potatoes here and how to peel the potatoes the way my mama taught me here. Lebanese-style panzanella! 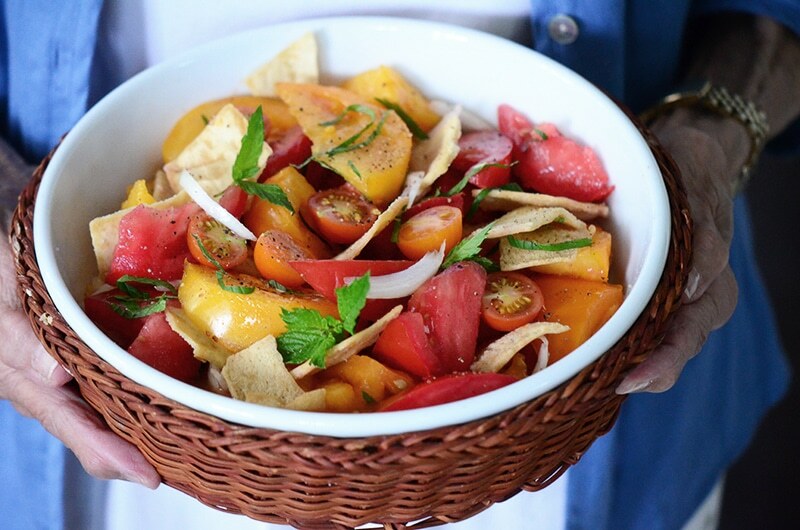 Ripe tomatoes, sweet onion, mint, and toasted pita to soak up all of the delectable, lemony juices. 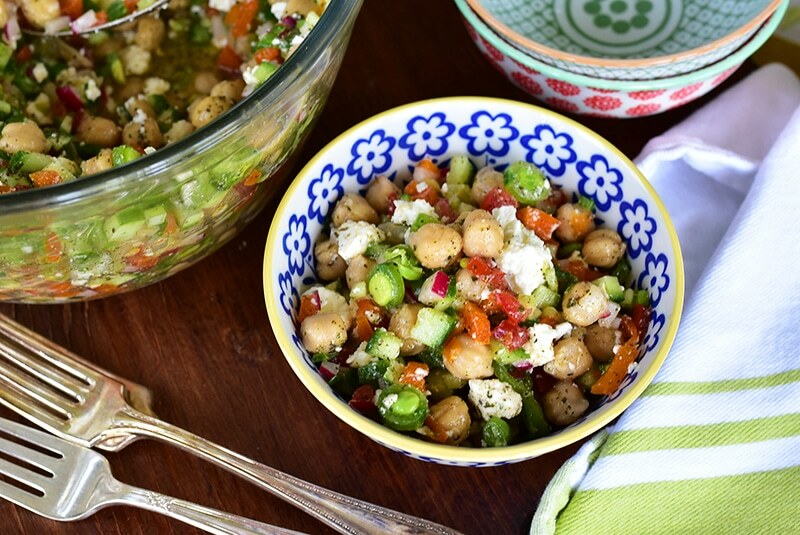 Chickpea and Feta Picnic Salad. The darling of our picnic salad favorites for its protein- and flavor-packed goodness. 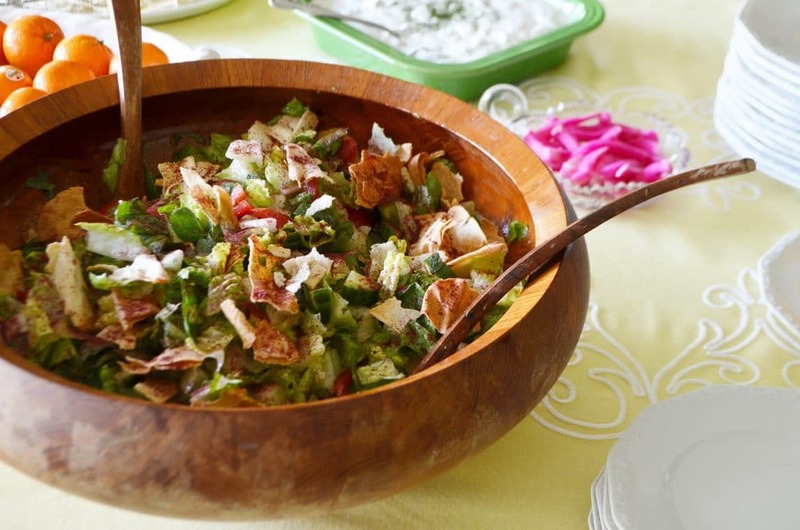 Fattoush Salad never tasted better than in the heart of summer. Crisp romaine and crunchy vegetables are given the royal treatment with a pomegranate vinaigrette along with sumac and dried mint. Lebanese-style cole slaw, or Malfouf Salad. A crisp and clean slaw with all of our favorite flavors: lemon, garlic, mint, and sumac. 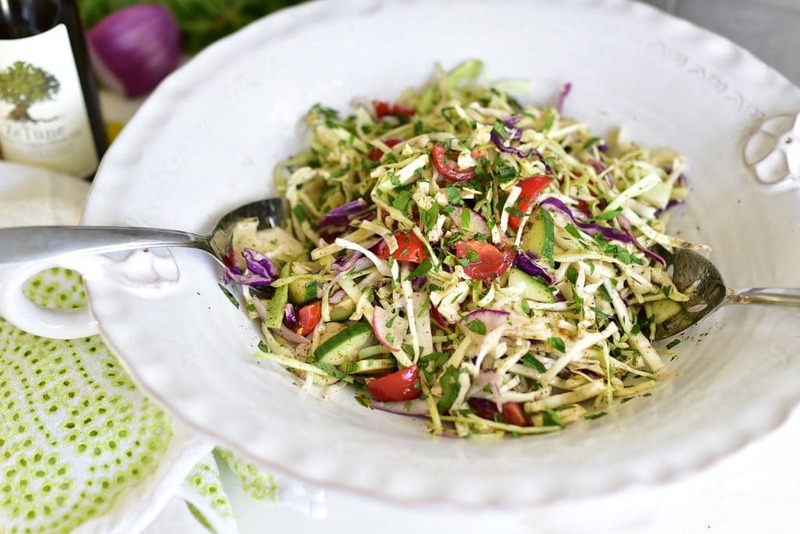 Try slicing up the cabbage from a whole cabbage for a crisper result than bagged slaw–but either way, you won’t go wrong! 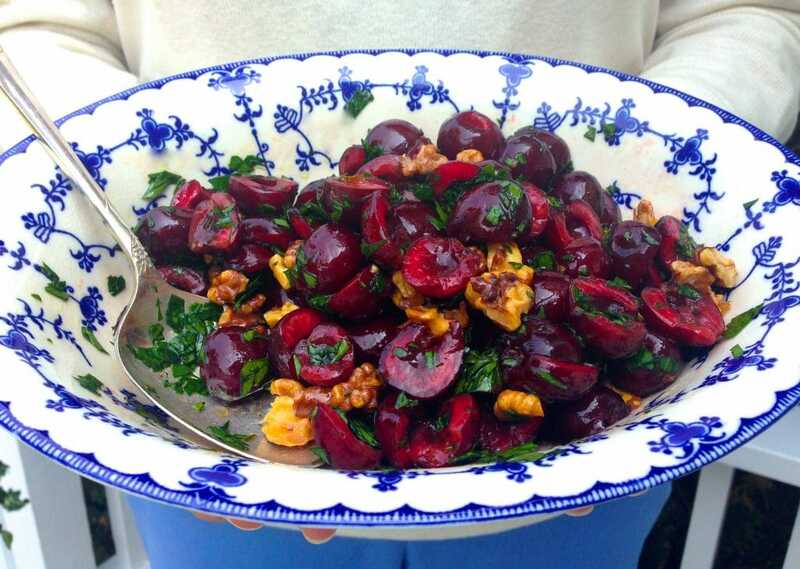 2 Responses to "Lebanese Summer Salads"
Hi Maureen–just made the Cherry Salad and it was delicious. I would love to know your technique to pit the fresh cherries. I don’t have a cherry pitter so I googled it and they suggested using a paper clip. That worked, but then I got the idea to use my koosa cleaner which worked out even better. Hi Rose–I use a cherry pitter which is a simple way to get it done. Mine has multiple slots so I can pit several cherries at one time. The koosa corer is a great idea!